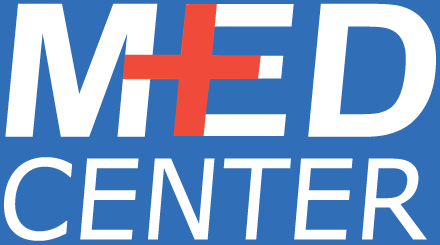 Med Center Medical Clinic been serving the Carmichael area since 1985. We are a family-owned practice and we are not affiliated with any hospitals. This frees us up to do what is best for our patients, without all of the constraints that many other practices have. We are able to offer urgent care services often for less than your co-pay at a hospital. 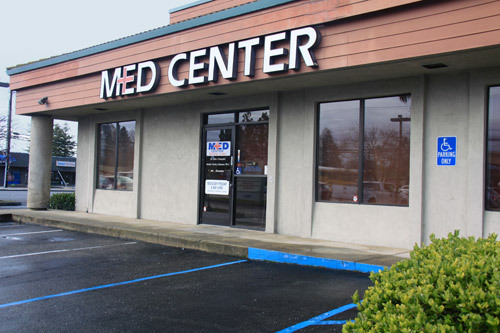 In addition to urgent care, we offer on-going primary care. Some of our patients have been seeing us for more than 25 years! Dr. Champlin has owned the clinic since 1993. He is board certified in Family Practice. He is a kind, compassionate physician, who really cares about his patients. We also have several excellent Physician Assistants on staff. All of our providers pride themselves on staying up to date in the constantly changing world of medicine. Our support staff is also outstanding! We have many employees who have worked for us for over 10 years, and even some that have been with us for over 20 years. This means that if you come to our clinic regularly, you’re bound to see familiar faces and be greeted like a friend. We want you to feel safe and well cared for. Isn’t that what it’s all about? We are unique in that we offer a wide variety of services, all under one roof. You might come in and need blood tests, x-rays and an EKG. Instead of making you run all over town, we can do it all here. When you’re sick or injured, you don’t feel like having to do any more driving around than is absolutely necessary. Click here to learn more about the on-site services we provide. We have partnered for more than 20 years with Med Investigations, assisting with patients who want to participate in clinical trials. These trials can be a great option for people wanting to get some of the newest treatments that cannot be accessed otherwise.